Reed Memorial Library in partnership with Main Street Ravenna will present a walking tour of Ravenna during The Civil War on Saturday, October 20 at 2:00 pm. 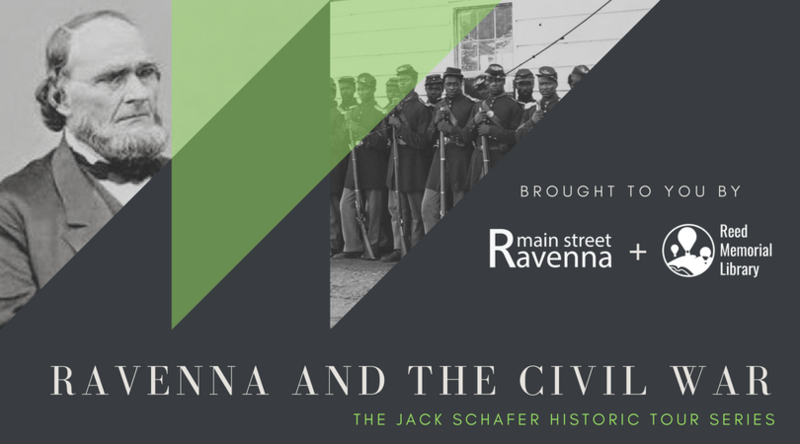 Enjoy a walk downtown while learning about the stories and history behind Ravenna and its people during the American Civil War. The tour will be led by Librarian, Kevin Gray, and assisted by Doug Fuller.